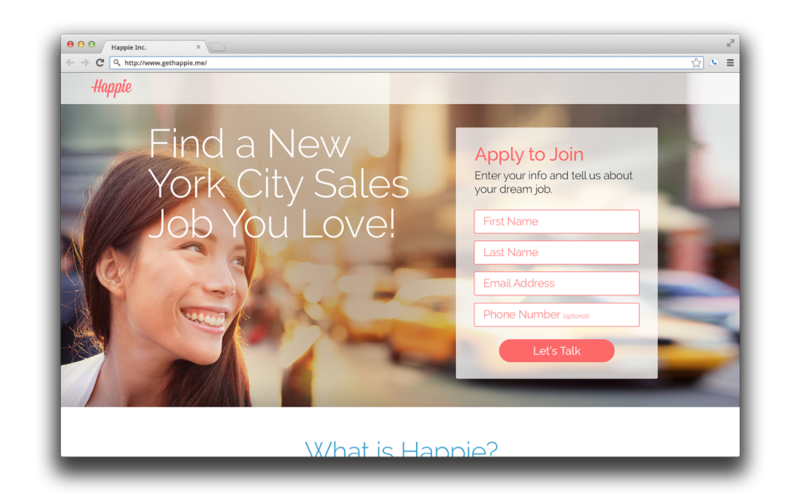 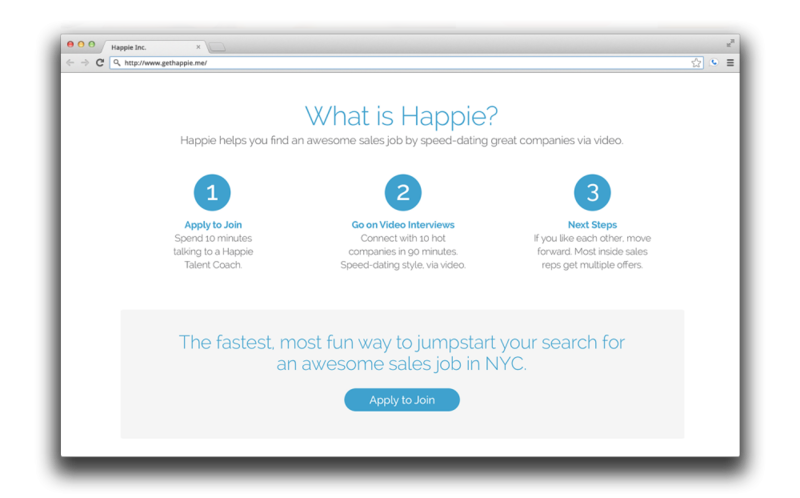 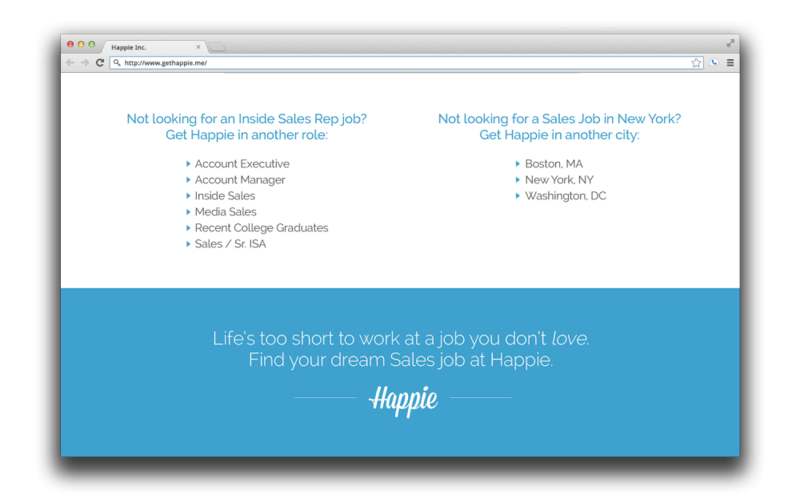 The folks over at GetHappie.com (a virtual job search & interview platform) were looking for a quick turnaround design on a landing page template that they could customize based on specific job as well as targeted city. They asked that I base the design off of their current homepage design, but push it even further in openness. 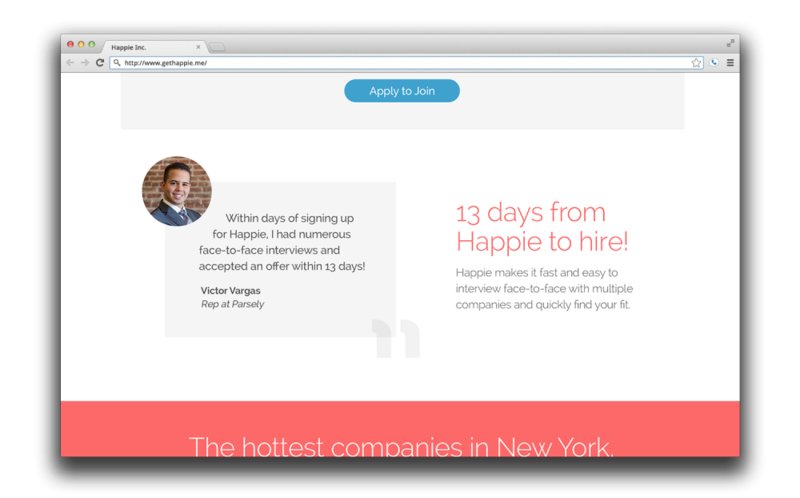 The final design provided a bold full-bleed image and headline at the top of the page which could be customized based on city, while the rest of the page featured a very clean, open aesthetic that provided information about Get Happie.